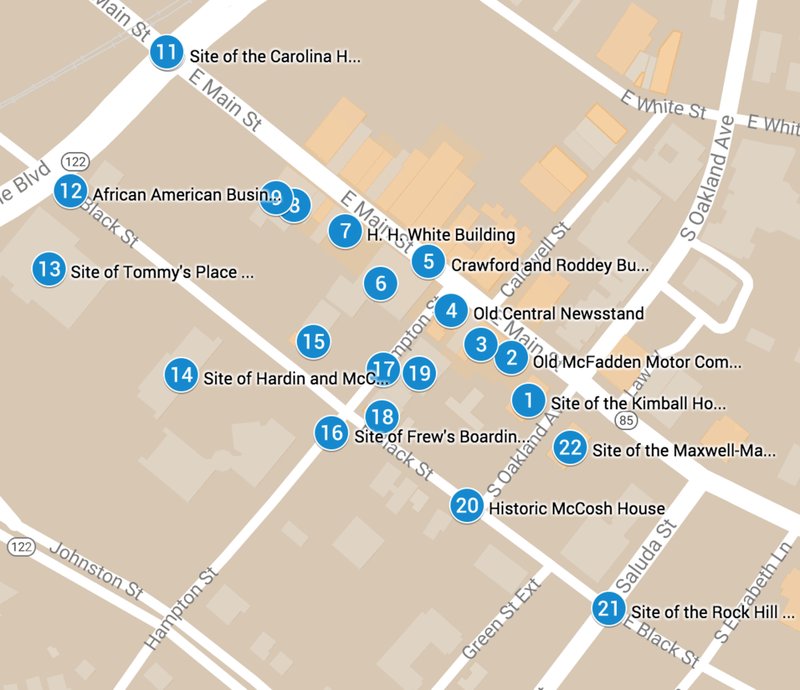 Old Town is the heart of downtown Rock Hill. It is filled with restaurants, arts, music, festivals and of course history. We've created three walking tours - Old Town North, Old Town South, Old Town East - that invite you to explore the most interesting historic parts of Old Town. Feel free to combine tours or pick and choose the sites that most interest you. While you tour, look for shops and restaurants to visit, but remember some of these sites are on private property and are best viewed from a public place such as the street or sidewalk. 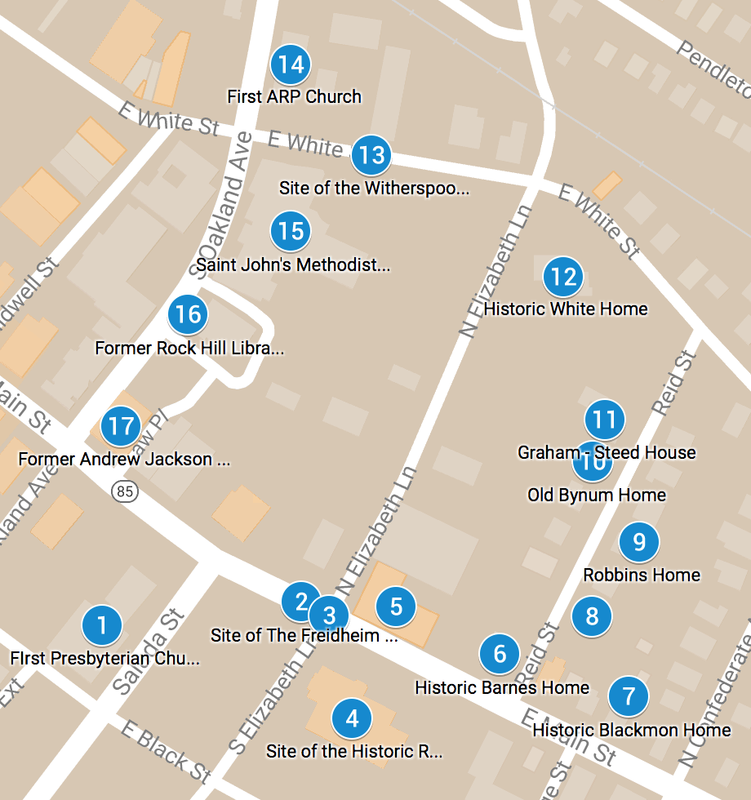 This tour includes 17 historic locations and can be walked in about an hour. This tour includes 22 sites and can be walked in about 90 minutes. This tour includes 17 sites and can be walked in about an hour.